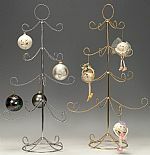 Now available in a cost saving set of 2, 3, 4 or 5, our most popular mini display tree will help you get your entire ornament collection on display for the holidays, or for any time of year. 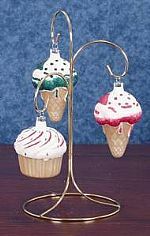 Standing 22" tall, a set of these trees would be perfect on a buffet table, holiday dining table or on a mantle! 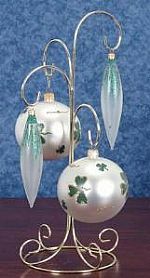 With 9 branches and 15 hanging positions each, there's plenty of room to display your ornaments. Finish is soft gold.